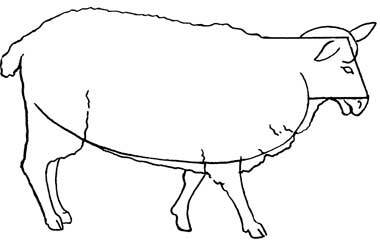 1) Draw a large tilted oval for the body of the sheep. 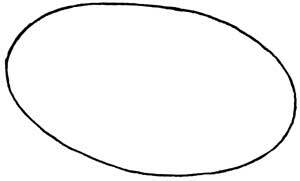 Be sure to draw lightly, because later you will have to erase parts of the oval. 2) Add the block-like shape for the head. Also make an adjustment line at the top of the big circle to give the back a slope. Make the first two lines to start the legs. 3) Add the curves to the head and body. 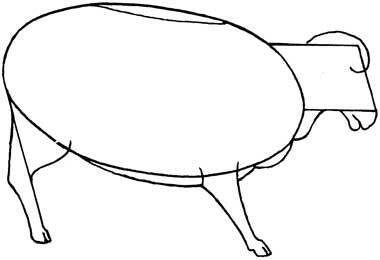 Finish the front and hind leg. 4) Make two more legs and a tail. 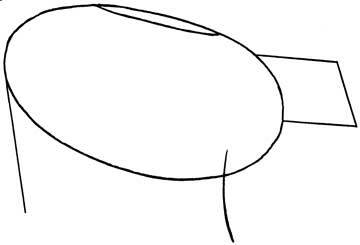 Draw the eye. Erase the lines not needed anymore. Add a wavy line to the back to suggest the shaggy sheep wool. 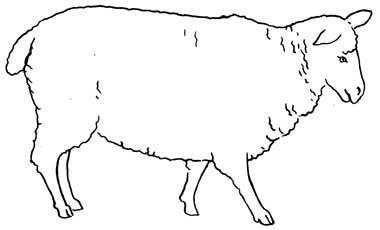 5) Give the sheep a wooly look by drawing light wiggly lines. Your sheep can be black or white.